Bitcoin has been all over the news lately thanks to its meteoric rise last year. The merits of the cryptocurrency have been debated by experts on CNBC and Bloomberg, touted by celebrities such as actor Ashton Kutcher and rapper 50 Cent and been the topic of late night comedians like Jon Oliver. You may have heard the terms “hodl,” “hyperbitcoinization,” “nocoiner” and “fiatsplaining” from friends in the know or read about Bitcoin fortunes being made or lost. It’s spurred a string of stories in global media outlets and made local headlines in Montana too, as cryptocurrency miners began opening operations in the state. 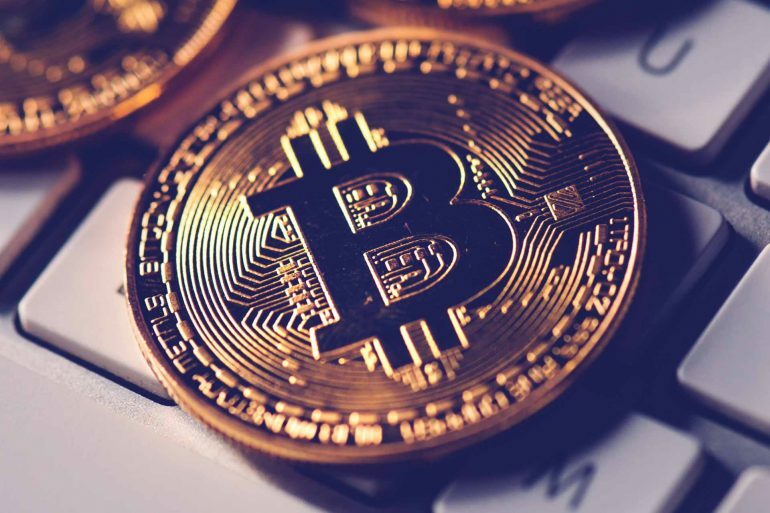 The fascination with Bitcoin, referred to as a cryptographic digital currency, caught the media’s attention when it’s price shot up from $750 in January 2017 to nearly $20,000 the following December. This caused some experts to assume it was merely a speculative bubble with no real value, while others claimed it was revolutionary, a transformative economic technological innovation. One thing is certain; no one seems to agree on what it is, if it is interesting and whether or not it is just a passing fad. So, what is Bitcoin and what are its implications for Montanans? As Americans, we have a tendency to take things for granted that people in other parts of the world would consider a luxury, such as our access to financial services. The average American can, with relative ease, open up a bank account and entrust their savings to a bank without much thought of losing access to their money or its purchasing power. When thought of in a historical context, this is a relatively rare phenomenon and currently not the case in many areas of the world. According to the World Bank, 38 percent of individuals worldwide, over the age of 15, have no access to any financial account. 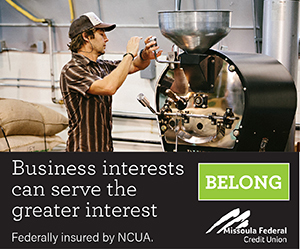 Seventy-three percent of those in the same category have no formal savings to speak of and 89 percent have no access to formal borrowing. In many areas that do have access to traditional financial services, centralized monetary mismanagement has rapidly eroded the purchasing power of people’s savings. Hyperinflation (e.g. Zimbabwe and Venezuela), bank bail-ins (e.g. Cyprus), official currency delisting (e.g. India), financial crises, spiraling public debt (e.g. Italy, Greece and Spain) and capital restrictions (e.g. Argentina and China) have created a scenario where many individuals have lost faith in their financial institutions. This unrest and disillusionment became evident in America during the Occupy Wall Street movement, which sprang to life in the aftermath of the 2008 financial crisis. In the face of these realities, some have argued for the need of a financial system that is less prone to the instabilities and pitfalls that are the natural results of political corruption and monetary mismanagement. Toward the end of his life, John Forbes Nash Jr. (a famous game theorist and mathematician portrayed in the film “A Beautiful Mind”) spoke widely on the concept of ideal money, which he described as a solution to the conflicting monetary goals of short-term domestic progress and long-term international economic objectives. Such money, he argued, would have an inflation rate of zero and would asymptotically become the standard of the world reserve currency. In 1999, observing the rising importance of the internet, prominent economist Milton Friedman predicted the invention of e-cash, which could be privately transmitted directly and electronically from one party to another without the two parties necessarily knowing or trusting each other, and without the need of a trusted intermediary, such as a bank. This would lead to an increase in individual autonomy and societal welfare, he argued. But there have been a combination of problems. In order to operate as cash, a money transaction must have censorship-resistance (meaning no individual or institution can impede the transaction), a lack of intermediaries (meaning that one party can transmit money directly to another party without the facilitation or permission of a bank), as well as transaction finality (meaning that whoever holds the cash, owns the cash). Many tried and failed to achieve these objectives going back to the 1980s. Some examples of failed iterations include B-money, DigiCash, E-gold, BitGold, and Liberty Reserve. Then in 2008, a pseudonymous programmer by the name of Satoshi Nakamoto created what he called a new electronic cash system that was fully peer-to-peer with no trusted third party. The Bitcoin protocol was launched the following year as an open-source software project. When a Bitcoin transaction is made, the details of the transaction are broadcast over the entire Bitcoin network. The computers in the network then work to verify that the transaction is valid, and if it is, the details of the transaction are recorded in a distributed ledger. Having each computer keep track of all of the transactions prevents double-spending. This distributed ledger is called the “blockchain.” It is essentially a chain of transaction batches (or blocks) going all the way back to the first ever Bitcoin transaction. As the value of bitcoin has grown, more and more miners have been attracted to the network. In the early days of Bitcoin, mining could be performed on a laptop. As competition in the sector has grown, mining has moved to large server farms with hundreds or even thousands of dedicated mining machines. These mining facilities typically have two primary challenges: high electricity demand and keeping the machines cool. This has caused mining operations to seek out areas of the world with cheap electricity and cold climates, such as Iceland, Canada and more recently Montana. 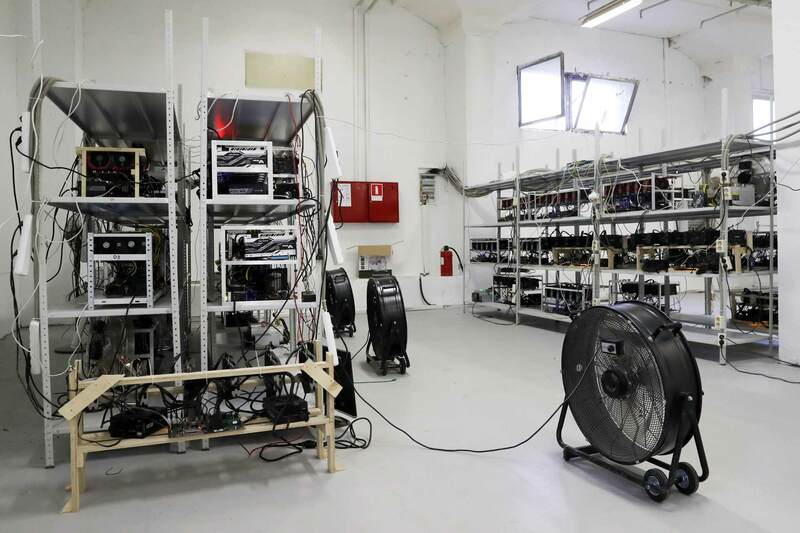 With ample vacant industrial space, very low industrial electricity rates relative to other parts of the nation and cold temperatures effective at cooling machines, Montana is garnering an increasing amount of attention as a potential location amenable to bitcoin mining facilities. Project Spokane, LLC in Bonner was one of the first to open a mining facility in the state. Earlier this year, CryptoWatt, LLC announced plans to open multiple bitcoin mining facilities in Butte and Anaconda – investing $62 million into the project and hiring 50 to 100 people. More recently, Power Block Coin, LLC released plans to invest $251 million in cryptocurrency mining, again in the Butte area, with plans to hire up to 50 employees over the next three years. All three of these companies have cited cheap electricity costs and cold ambient temperatures as primary motivators for their planned investments in Montana. If the trend continues these mining operations will certainly lead to more interest in Montana from companies involved in the Bitcoin ecosystem. Some experts have said that Bitcoin is the latest iteration of a globally emergent monetary good – a good that follows an evolution through the stages of money-roles: i.e. collectible, store of value, medium of exchange, unit of account, such as gold. To others, this seems like a far-fetched idea. But money does not always come in the form of crisp paper bills with a national insignia. It can take on various forms depending on the place and situation. In some areas of the world with capital restrictions (e.g. Argentina, circa 2012), U.S. dollars or even Amazon gift cards are often preferred over the national currency. For an item to be used as money it needs to have certain desirable qualities that give it a comparative advantage over any other potential item, such as scarcity, durability, divisibility, verifiability, portability and fungibility. All monetary goods throughout history have displayed all of these qualities in varying levels. For example, with onerous restrictions on what can be transported in or out of prison, cigarettes exhibit a high level of scarcity. But when it comes to durability and divisibility, cigarettes display some flaws. Wet or broken cigarettes are useless and splitting a cigarette in half is the lowest denomination possible. But since cigarettes are easily verifiable, portable and fungible (one cigarette is the same as any other cigarette), they compete well for monetary status compared to other available goods. A more relevant example would be gold. Gold is highly durable and essentially indestructible, but it is less competitive in the area of divisibility (i.e. it is difficult to measure a penny, much less a fraction of a penny, worth of gold) or portability (i.e. it is difficult and risky to carry large amounts of gold compared to other forms of money such as the U.S. dollar). While the dollar has a comparative advantage over gold in those respects, it is far less scarce than gold. Gold’s monetary qualities are what caused it to be used as money for thousands of years. It can be argued that bitcoin has a comparative advantage over conventional currencies. Its supply is known and provable, giving it a high degree of scarcity. Its durability, while not as indestructible as gold, is limited only by the capacity of the user to store it properly. It is divisible down to one hundred million units per bitcoin. It is instantly and easily verifiable against forgery. It is highly portable as a digital asset and capable of transporting vast sums of value weightlessly inside a flash drive. Imagine that a device was invented that allowed you to take physical cash and insert it into your phone like a vending machine, then beam it directly to someone on the other side of the world without going through an intermediary. That would be a revolutionary invention. The Bitcoin network essentially does this. And it does this using a global, sovereign form of currency, secured and controlled by the laws of mathematics. It is reasonable for people to disagree on the merits, usefulness and future outcome of Bitcoin. In my opinion, however, the technological innovations and global grassroots momentum behind it make the case for the Bitcoin network being, at the very least, a highly interesting case study in economic organization and decentralized monetary emergence. Also, some proponents have claimed that the Bitcoin network is a transformative new technology and its current adoption status is comparable to that of the internet in the mid-1990s. If true, then there’s a huge potential for locations and jurisdictions around the world that are favorable to the Bitcoin industry – most notably right here in Montana. The borderless and digital nature of the technology means that a company can set up shop anywhere there is a reliable internet connection. We have already witnessed jurisdictions competing on friendliness to Bitcoin companies. The Swiss canton of Zug has been marketing itself as a “crypto-valley,” the cryptocurrency equivalent to Silicon Valley, in business friendliness and technological innovation. Last month, Wyoming introduced five bills in the Legislature which are specifically designed to reduce the barriers to entry for cryptocurrency companies operating in the state. Arizona plans to allow residents to make tax payments in cryptocurrency starting in 2020 and Tennessee has introduced legislation to make cryptocurrency formally accepted as legal tender. It seems clear that the race is on for locations competing to attract economic activity in the Bitcoin ecosystem. Given the global nature of this technology, it is reasonable to imagine that locations with a comparative advantage for Bitcoin friendliness have the potential to benefit over the coming decades. 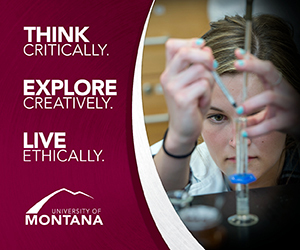 This is where Montana has a unique advantage. As noted previously, Montana is already attractive to mining facilities due to the price of electricity and the cold temperatures. But we’ve also recently benefited from economic growth in the high-tech sector and have a strong system of universities and colleges capable of training a workforce of high-tech laborers and entrepreneurs. Plus, the amenities and quality of life here are unmatched. If Montana can harness this momentum and remain an attractive location for the Bitcoin industry, it may not be unrealistic for the state to look to this sector as a potential source of economic growth moving forward.